There are many houses and properties for rent in 85258, 85260, Gainey Ranch, McCormick Ranch, Phoenix and Scottsdale. Ranch Realty has a comprehensive portfolio of properties in Maricopa County and can help you find the right home, condo or apartment. They have furnished rentals, unfurnished rentals, family homes, condos and apartments on their books. A good place to start your search for property search is on your realtor’s website. You will find many properties for rent and you can use the search filters to narrow and refine your search. Maybe you are looking for a condo or townhouse in Scottsdale. You can also search within a specific price range. For example you could find an unfurnished townhouse with a fireplace, split bedrooms, 2 bathrooms, private patio in a private security complex with pool and jacuzzi for around $1700 per month. Or you could find a ground level 3 bedroom rental with 2 large patios located in the heart of McCormick Ranch for around $2200 per month. There are many options and choices when it comes to properties for rent in the greater Scottsdale area. Whether you are looking for a furnished apartment or an unfurnished family home, the team at Ranch Realty can help you find the right rental. They will also help you with the admin and legal stuff. 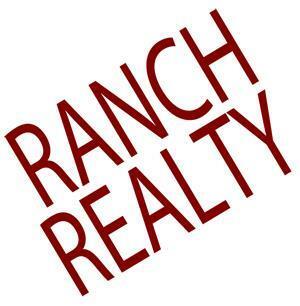 If you are a property owner and want to rent out your property, Ranch Realty can also help. They provide comprehensive property management services including marketing, tenant screening, move-in inspections, move-out inspections, collection of deposits, timely rent disbursements, property maintenance and more. They have more than 40 years’ experience in property management and they know how to find a good tenant for your property. If your property is vacant they will find you tenant within a short space of time.